The Seattle-based Northwest Immigrant Rights Project sued the U.S. government on behalf of legal immigrants from countries banned in President Donald Trump’s first travel ban who were separated from their families. A Seattle federal judge who ruled against President Donald Trump’s first immigrant travel ban has taken another challenge to the president’s revised order under advisement, this one filed by the families of immigrants that have been separated because of the policy. 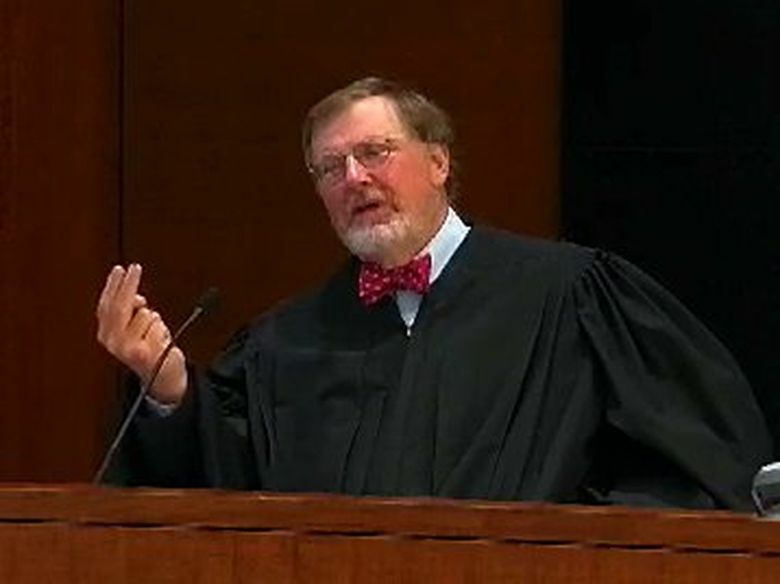 U.S. District Judge James Robart remained skeptical of the government’s continued claims that the president can bar people from immigrating because of their nationality. Attorneys for the families argued that statutes governing the issuance of immigrant visas specifically prohibit such discrimination. Robart heard nearly 90 minutes of arguments Wednesday in a lawsuit challenging the travel order filed by several legal immigrants who are separated from their families and who fear the new order will prolong that separation. Their family members all are in various stages of attempting to obtain visas to enter the U.S. The latest travel ban was set to go into effect at midnight Wednesday. However, a federal judge in Hawaii on Wednesday put the revised travel ban on hold. Matt Adams, the legal director for the Northwest Immigrant Rights Project, which is spearheading the immigrant-family lawsuit, said the Hawaii order is a godsend for his clients, who will benefit from any delay in the order’s implementation. Still, he said they will pursue a restraining order of their own. Robart did not say when he would rule on the suit filed by several immigrants. Acting Assistant Attorney General Chad Readler, arguing in Seattle, said the president has broad powers to decide who can enter the U.S., particularly in matters of national security. Trump’s new order, which removed some of the problematic language in the first order, continues to stop immigration and refugees from six countries. Robart questioned the extent of those powers, particularly when the statute prohibits discriminating against visa applicants by nationality. Adams, the attorney for the Seattle-based Northwest Immigrant Rights Project, argued that every extra day his clients are separated from their loved ones constitutes an “irreparable harm.” The immigrants’ organization has sued the government over the travel ban. Adams argued that under the anti-discrimination law, the government has no more authority to deny a visa to someone from the six targeted countries than it would to deny visas to anyone who isn’t Caucasian. Trump’s original travel ban was signed as an executive order Jan. 27, and barred entry into the U.S. of travelers from seven predominantly Muslim countries, suspended the processing of visas and stopped the refugee program. 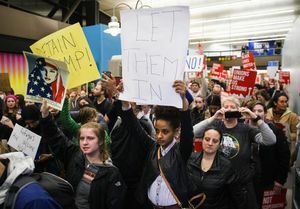 The result was chaos at the country’s airports and a flurry of lawsuits challenging the executive order. Robart in February halted enforcement nationwide of the immigration ban in a lawsuit brought by the states of Washington and Minnesota. Trump appealed to the 9th Circuit Court of Appeals, where a panel of judges upheld Robart’s order and effectively suspended the implementation of the travel ban. In response, Trump issued a second executive order March 6 that narrowed some of the troublesome provisions of the original but still suspended the issuance of visas to travelers from Iran, Libya, Somalia, Sudan, Syria and Yemen. The new order left Iraq off the list of banned countries. Lawyers for the plaintiffs argue that the second executive order contains many of the legal flaws of the first, and that Trump’s fixes are cosmetic and don’t address the legal issues posed by the ban. Robart has said he realizes the frustrations of the plaintiffs in the lawsuit, mostly parents separated from their children, over Trump administration statements that seemingly contradict those made by federal government lawyers. “The court understands Plaintiffs’ frustrations concerning statements emanating from President Trump’s administration that seemingly contradict representations of the federal government’s lawyers in this and other litigation before the court,” the order said. Nevertheless, Robart said, the court will continue to rely on statements coming from the federal attorneys. Mike Carter: mcarter@seattletimes.com or 206-464-3706. Information from Seattle Times archives and The Associated Press is included in this story.